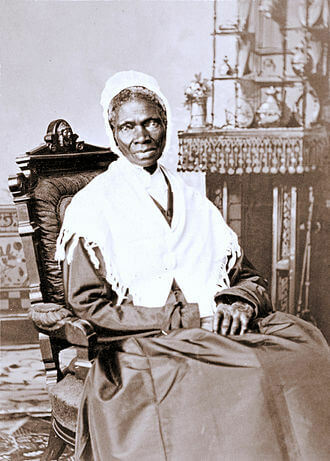 Sojourner Truth (c. 1797 – November 26, 1883) was an abolitionist and women’s rights activist. She gave herself the name Sojourner Truth in 1843 after she became convinced that God had called her to leave the city and go into the countryside “testifying the hope that was in her”. And aint I a woman? Sojourner Truth was born into slavery in New York State. Her original name was Born Isabella Bomefree. Truth, with the help of Quakers escaped to freedom in 1827. A deeply religious woman, Truth was know as an articulate crusader for women's rights and abolitionist. Sojourner Truth: ex-slave and fiery abolitionist, figure of imposing physique, riveting preacher and spellbinding singer who dazzled listeners with her wit and originality. 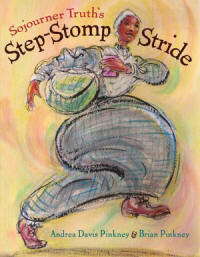 Straight talking and unsentimental, Truth became a national symbol for strong black women - indeed, for all strong women. Like Harriet Tubman and Frederick Douglass, she is regarded as a radical of immense and enduring influence; yet unlike them, what is remembered of her consists more of myth than of historical fact. Now, in a masterful blend of scholarship and sympathetic understanding, eminent historian Nell Irvin Painter goes beyond the myths, words, and photographs to uncover the life of a complex woman who was born into slavery and died a legend. Inspired by religion, Truth transformed herself from a domestic servant named Isabella into an itinerant Pentecostal preacher; her words of empowerment have inspired black women and poor people the world over to this day. As an abolitionist and a feminist, Truth defied the stereotype of "the slave" as male and "the woman" as white - expounding a fact that still bears repeating: among blacks there are women; among women, there are blacks. Sojourner Truth was born into slavery in Swartekill, Ulster County, New York, but escaped with her infant daughter to freedom in 1826. After going to court to recover her son, in 1828 she became the first black woman to win such a case against a white man. In 2014, Sojourner Truth was included in Smithsonian magazine's list of the “100 Most Significant Americans of All Time”. Sojourner Truth died at her home in Battle Creek, Michigan, on November 26, 1883. 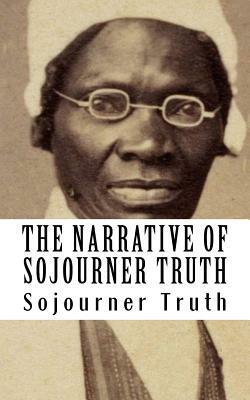 Tell us how much you like Sojourner Truth.